We at Moxie Multisport are dedicated to offering you products with the highest performance standards in the industry. With that in mind, we have many current year options for you, as an athlete, to choose from. Whether you are looking for a shallow and lightweight wheel set, or a deep-dish front and rear, we have you covered. All rentals are for 7 days. Should you want to keep them additional days, the price is $25 per day past the reservation. ENVE 7.8's with ceramic hubs - $285 - The SES 7.8 embodies the latest SES technologies and includes our newest molded-in brake track and tubeless clincher tire compatibility. The SES 7.8 is wider and specifically optimized to perform best when used with a modern aero frame and large 25mm tires. Zipp’s Firecrest Carbon Clinchers are all about road riding and racing. In use at the highest levels of the professional peloton, disc-brakes are poised for growth in road riding and racing and triathlon. The consistency and power of disc brakes provides precision modulation and stopping power, literally at your fingertips. As for speed, the 404 Firecrest is where the Firecrest® Revolution began. If you had to choose just one wheel, the 404 Firecrest should be your choice. With a depth and shape proven in all conditions, it’s a classic all-around performer and the standard by which all other wheels are measured. Its 58mm rim depth is a classic all-around performer that has carried athletes to victory in every kind of event and situation. This industry-changing rim shape was the first deep-profile carbon clincher design to offer the superior aerodynamics, ride quality, strength and handling of a wider rim body. To save every possible watt, Specialized has also added CeramicSpeed bearings and DT Swiss 240 hub internals into thier hub. Each 321 Disc wheel is also 2Bliss-Ready out of the box and comes with a padded wheel bag, quick-release, tubeless valve, and SwissStop Black Prince brake pads. You are responsible to return the rental wheels in the same condition in which they were rented to you. Please bring them back clean. All rentals come with a flat repair kit with the correct valve extensions already installed on the tube to insure you have a seamless experience should you need to repair a flat. *Athlete/Customer is responsible for returning all flat repair items. A $35 repair kit fee will be issued if used or not returned while under rental. 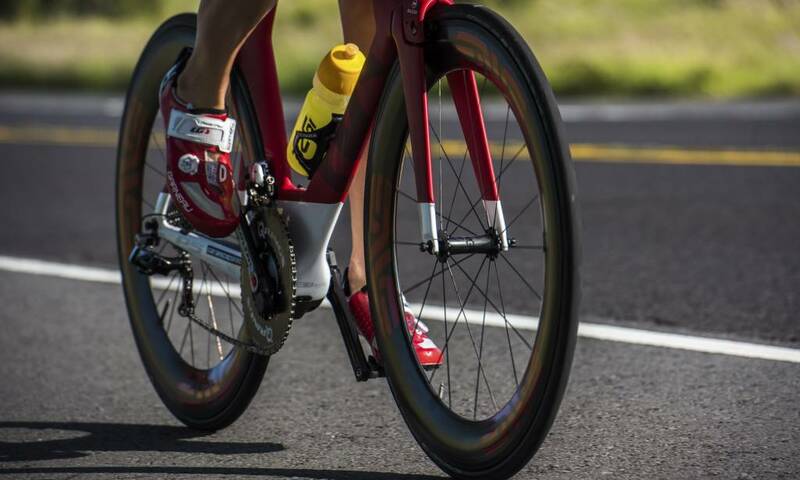 Moxie Multisport is not liable for the safety of any athlete using the rental wheel or wheels during the rental period or thereafter. The athlete/customer renting the wheel or wheel set assumes all responsibility for their safety.